Devotions to Father Bernane, Moulivard, Durrus, 28th June, Holy Well Visitation at Kil-na-Comoge, Kealkil, Lady’s Day 15th August, Pilgrimage to St. Finbarr, Gougán Barra, West Cork, 25th September. 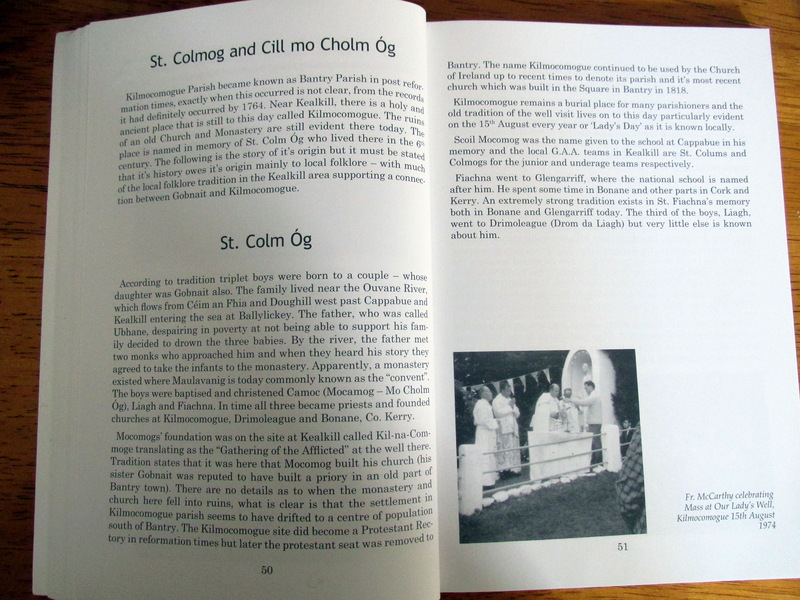 The various practices of rounds, visitation of holy wells, pilgrimages probably predate even the coming of the Celts to Ireland. These practices were customised to particular localities and often a Christian saint replaced the olden deity.